← Who Inherits Your Copyrights? Writers in the Storm welcomes back NYT Best Selling Author Kat Martin, who shares her magic to MAKING YOUR STORY BELIEVABLE by setting the location in a real place. Kat is donating her latest book to one of our readers who comments on this post. We’ll announce the lucky winner next Monday, April 29. One of the best ways to make your story believable is to use real places to locate the action and the real names of restaurants and streets. Actually going there, of course, is the best way to make that happen. Or using places you went to at some other time in your life. In AGAINST THE EDGE, the hero, Ben Slocum, who also appeared in AGAINST THE SUN and AGAINST THE ODDS, lives and works in Houston. Originally, I chose that location because my husband and I lived in Houston for several months. I got to know my way around, know the restaurants and shopping, became familiar with the atmosphere of the city. Which is amazingly small-town, considering the population. I felt comfortable there and when I spread open my AAA Auto Club map back in Montana and started to write, the street names were all familiar, the parks and airports, stirring memories of places we had been. I truly believe there are locations you can’t write about without being there. For me that was Europe. Until I actually traveled overseas, I couldn’t image cities and towns that went that far back in time. Paris, London, Amsterdam, and the rural communities in European countries are the sorts of places you really need to visit in order to understand the way people in those areas live. China, Russia, India–places I’ve never been–have personalities of their own and seeing them is about the only way you can get it. Another possibility is to choose an area that fits your story and you can relate to. Any of the mountain states are easy for me since I live in Montana. I’m in Los Angeles a lot, thus my next book, AGAINST THE MARK, Ty Brodie’s story, uses that setting. By the way, one of an author’s greatest tools is Google Earth. 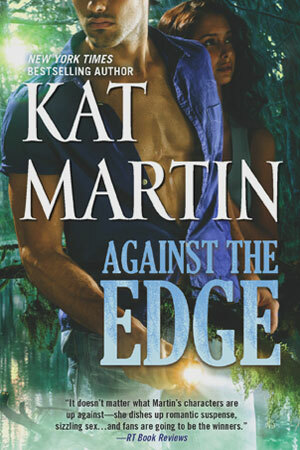 In AGAINST THE EDGE, when Ben and Claire travel from Los Angeles to the bayou county of Louisiana, being able to go there over the Internet, to actually zoom down into the swamp, was incredible. So make your story as real as you can and the reader will feel that reality. I hope you’ll watch for AGAINST THE EDGE and that you enjoy. p.s. What novels have you read that seemed so real? Leanne Shirtliffe, the hilarious author of DON’T LICK THE MINIVAN: And Other Things I Never Thought I’d Say to my Kids is teaching the following workshop TONIGHT! Class Dates/Times: (Today) Wed., April 24th, 8:30 – 10:00 pm, EST. Leanne gave the 10 Reasons Why You Should Sign Up for her Class over at Jenny Hansen’s blog, More Cowbell, yesterday. She also offered a discount that we’re extending to all of you here at Writers In The Storm. Use discount code “Leanne10” to save $10 on tonight’s class. This entry was posted in Blogging Guests, Craft and tagged Kat Martin, setting your story, Writers in the Storm, writing. Bookmark the permalink. Thanks, Kat. Loved the trailer and love the spirit of all your books. Okay, I’ll answer the last question first. I once sat down and read the first three novels written by Michael Connelley in one weekend. I wanted to jump on a plane and see the sun rise above the valley, I needed to ride along the coast road and soak in the vistas from Southern to Northern California. In short, he put me in the setting. He does that. He also uses beautifully crafted prose, tells the reader exactly what they need to know about Harry and writes one heck of a good mystery to boot. In terms of settngs I cheat. All my stories take place in The City. And anyone out there who doesn’t know where The City is has been living under a large bolder. My usual clue is … Chicago is Second City. Great article. The only time I would not agree is if you are writing something tragic, like a school shooting. Cities and schools would not be happy to be associated with anything negative. For those types of scenes, I prefer a fictional setting close by to a real city that I can refer to. stuck” in occupied Paris during WWI. This story has to be written, but it has been a challenge getting the locations (villages in Finland, streets and landmarks in France) correct. Since it’s fiction (because too many facts are lost to me since my grandmother was a secretive person and my Mom’s memory isn’t what it used to be), I have the liberty to be creative. But I still have to make my story plausible. Was the hotel she worked in there in the late 1920’s? Was that street in the fashion district? Was that address in a poor part of Paris? Needless to say, I’ve been doing a lot of research. My mom has helped, too, giving me snippets of memories that I can use to launch my research. This is not a historical novel, but I want it to be realistic. I’ll be happy when I reach the part in my book when the come to America. I know where they landed and making that authentic will be easy! Thank you so much about the ‘Google Earth’ tip. I had to buy a new laptop a year or so ago, but only downloaded Google Earth a couple of months ago. Just love to play around with it, but usually only use it to find my way around town to an unfamiliar area. You’ve given me a good reason to fool around with it again! It’s one of the “Duh! Why didn’t I think of that?” moments. Kat, great article and great trailer! Thanks so much for confirming that the use of familiar places in my writing is wise, not lazy. When I first began I had so much to learn about the writing process I felt I needed at least one thing on my side – i wanted to write knowledgeably about the setting. Thanks, too, about the reminder to use Google Earth. So much detail there that you won’t find on a road map. Gotta love technology! We spent a month in Ireland some years ago, so when I wrote my first mystery a year later, it felt natural to include all the places we’d seen. A few specifics came from internet research, but much of the description was what I’d seen and smelled and felt myself when I was there. While it’s certainly possible to write about a place without first-hand experience, an emotional connection definitely comes through in what we write. I cut my romantic suspense teeth reading Phyllis Whitney, Mary Stuart, and Victoria Holt. A big part of their books was the setting. I love being able to learn about new places when I’m reading. My first book, coming out this summer, VERMONT ESCAPE, is set in Woodstock, VT. Visited a couple of times and fell in love! I thought the comment above about not writing tragedies set in real places interesting. I’ll have to think on that one. I’m writing a novel set in WWI era Iowa. As I’ve written, I’ve had the county seat town I grew up near in my mind. But I’ve changed the name of the town, street names, business names, etc., because the town is only about 5,000 people and people in the area today would think I’m basing the story on real people. And it really is fiction. Am I being too careful? That reminds me of the fictional town Kinsey Millhone lives in, as written by Sue Grafton. Well, it’s really Santa Barbara, but because it’s all fictional, she can move a street, make up businesses that don’t exist, put a park where there’s a parking lot, stuff like that. I’m not sure if “careful” is the right word. I think you’re being intelligently creative. Thanks, Joel. I appreciate your perspective. Like Edith, who just commented, knowing the landscape grounds me (in many ways). As a beginner I find it easier to base my fictional town on one I know so well – my own! It certainly helped me feel confidence writing about the landscape, and allowed me to concentrate on my characters instead. They were challenging enough! 🙂 Great article, thank you! I write historicals so I get away with a bit more but I research intensely. In Silver Caress I couldn’t go to Silverton Colorado until “after” the book was written. I actually visited the saloon in the story and was amazed at how accurate my descriptions were. That said, today’s modern world is constantly changing and visiting the story site really does help. I never thought of using Google Earth so thanks for that tip! Very helpful. Living just south of Houston (Friendswood–ever heard of it? 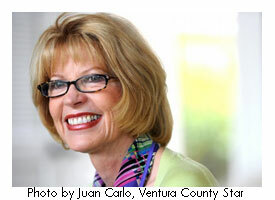 ), I agree that our city is small-town people in a big-town metropolis. I’m impressed that you learned you way around here so quickly…and now I’m eager to read your book! I do find myself writing novels based on where I’ve lived or visited. Thanks for the tips!